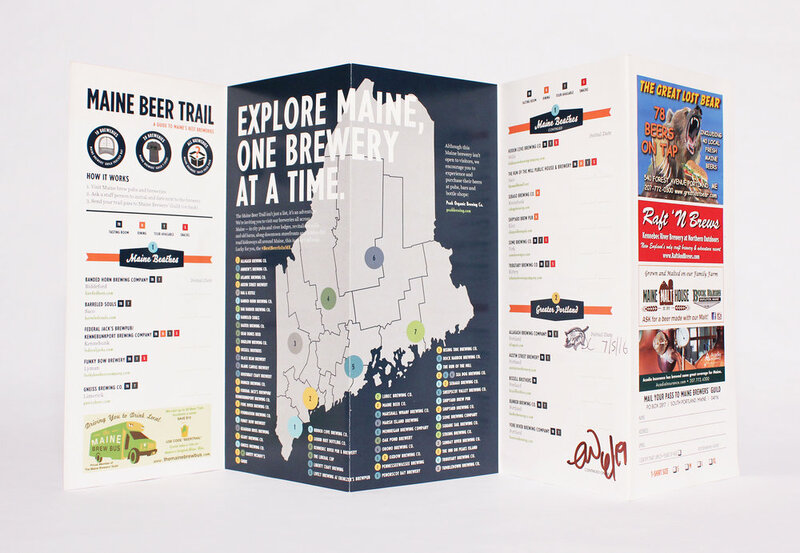 The Maine Brewer’s Guild hired us to re-concept their Maine Beer Trail. Our goal was to re-invent the Beer Trail to be relevant in today's competitive industry. We developed an information design system, redesigned the format with an accordion fold brochure (which fits nicely when folded in your back pocket), utilized fresh new typography and bold colors to liven the brand. We also created a custom illustration for the cover. 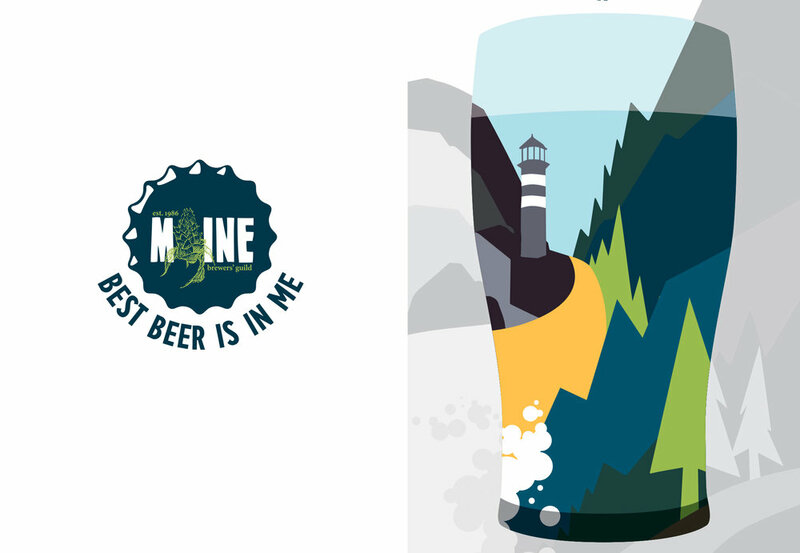 Maine Beer Trail is a passport listing breweries in the state, broken down by region, and info on whether or not they have a tasting room, offer tours, and serve food.